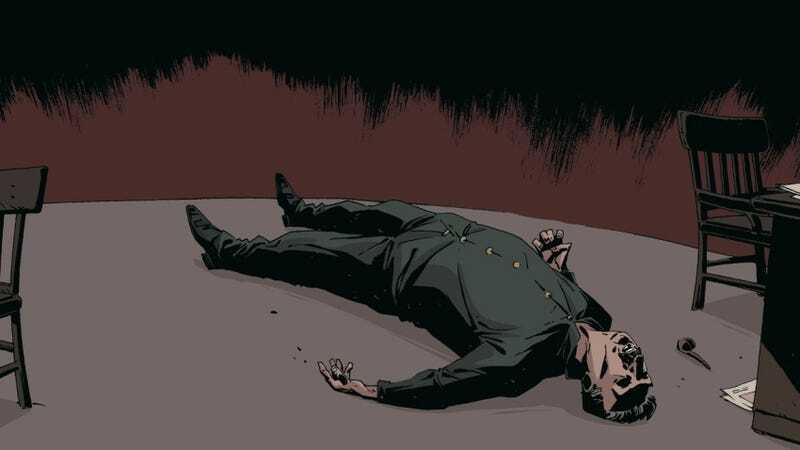 Death of Stalin, the French graphic novel detailing two days of chaos between Joseph Stalin’s stroke and the announcement of his death, will get a new reprint ahead of the upcoming film adaptation. Perfect timing too, because (for some weird reason) we should remind ourselves what actual totalitarian governments are like. The graphic novel reveals the scary reality behind Stalin’s control in the days before his death. For example, it opens with an orchestra being forced by the military to play for hours so Stalin could get a recorded version of their performance. After Stalin’s heart attack, the novel goes into the attempts to keep the dictator alive, while members of his government conspire against one another to secure power after his inevitable death. Everyday people are treated like pawns— they live in fear and are ordered to do unspeakable things. Many are imprisoned or killed for slight offenses. It’s a story of violence and greed in a society that’s been corrupted by absolute power. It’s a stern reminder of what dictatorships are really like, taking propaganda away to show the true effect they have on people. However, the creators did say it’s technically historical fiction, even though it’s based on real events, because of how patchy and incomplete recounts from those days are. Titan Comics will be printing a new English version of the graphic novel, as announced at ComicsPRO this week. In part, it’s because of the film adaptation by Veep creator Armando Iannucci, which has gotten U.S. distribution by IFC. The reprint should be available this fall. However, for those who want to check it out sooner, there’s a translated version available on Amazon Kindle.